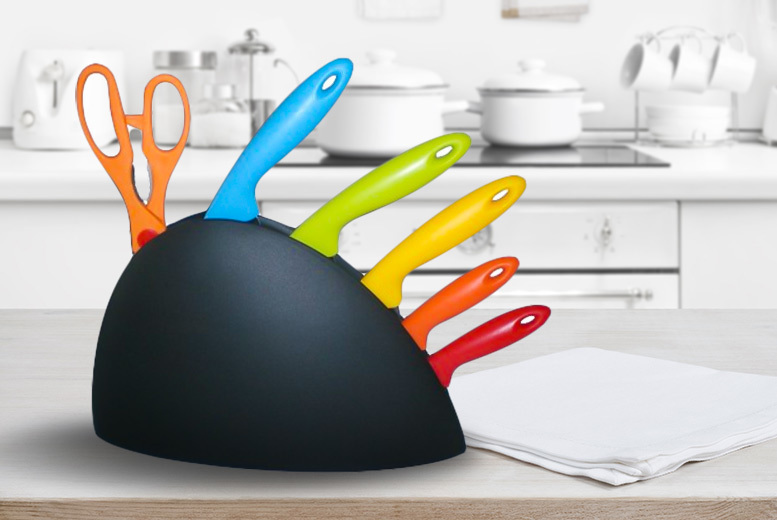 Get a 6pc rainbow knife set with stand. With non-stick coating for a smooth cut. And ergonomic handles for a string grip. In a range of bright colours! Includes a chef knife, bread knife, slicer knife, utility knife, paring knife and scissors. Great for a new kitchen!